Snapchat users who send and receive multiple snaps with friends will notice little emoji icons appear next to their friends' names in the Chat tab. 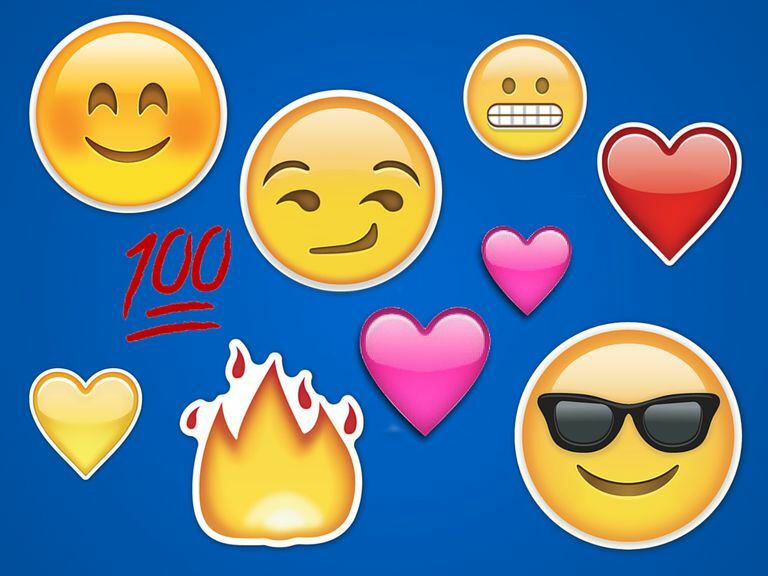 Seeing them might leave you wondering, what do these Snapchat emojis mean? Some of these emojis are very popular; some are not. If you've spotted them while using the app, you might be a bit curious to know exactly what these Snapchat emoji meanings can tell you about your friendship. The Snapchat app tracks your messaging habits with your friends – both to individuals and groups – and then assigns an emoji to them, which represents the current status of your level of interaction. As you continue to send and receive messages, the emoji will change over time. Likewise, if you stop messaging for a while, the emoji may disappear completely. You're both best friends. You send the most snaps to this friend and they send the most snaps to you. After the yellow heart comes to the red heart – your "BFF" – if you remain each other's number one best friends for a period of two weeks. If you see the two pink hearts beside a friend's username, it means that this friend has been your number on a best friend on Snapchat or your "Super BFF" for a whopping two months in a row. It also means that you have been that friend's number one best friend out of all of their friends as well, for two months. A smiley bearing his teeth as if grimacing beside a friend's name means that your number one best friend is their number one best friend as well. In other words, you share a best friend. An emoji with smiling eyes and rosy cheeks beside a friend's name means that they're another one of your best friends (but not your number one). If you see a sunglass-wearing smiley face beside a username, it means that one of your best friends is one of their best friends too. If you're super active on Snapchat, you may see a fiery flame emoji appear beside someone's name, meaning that you're on a "snapstreak." You've been snapping back and forth with them a lot over the past several days, and the longer you stick with it, the higher then snapstreak number you'll see beside the Fire emoji. If you're snapping with multiple friends as a group, you'll see the sparkle emoji appear next to it, which can help you identify all the friends you're including in group chats. A baby emoji next to a friend's name means that they're a new friend that was just added. If you see an hourglass that's almost out of time, it means that your snapstreak is going to end soon. Start snapping now to save it and keep it going! When you see a birthday cake beside a friend's name, it means that today is their birthday! Send them a snap to wish them a happy birthday. Emojis will look different depending on which platform you're using (Snapchat for iOS or Android). Tip: You Can Customize Your Friend Emojis! Want to know a fun Snapchat trick? You can actually change the emojis for all the interactions listed above so that you see the exact emojis you want to see beside your friends' names. Simply navigate to the camera tab and tap your profile icon at the top to pull down your profile tab. Then tap the gear icon in the top right to access your settings and select Manage Preferences under Additional Services. On the next tab, tap Friend Emojis and you'll see a list of all the emojis with their corresponding meanings. You can tap any one of them to actually set that specific interaction to any emoji you want. For example, if you wanted your number one best friends for two months emoji to be the poop emoji instead of the two pink hearts, then you can definitely do that. If you do, any time you have a Super BFF, the pile of poo emoji will appear next to that friend's name in the Chat tab. Due to privacy concerns from high profile individuals using Snapchat, the best friends feature was taken away in January of 2015 during an update to the app, disappointing users for its disappearance. Snapchat CEO Evan Spiegel announced on Twitter that it was only temporary and that the feature would be back once the issues over privacy could be taken care of first. In an app update released in early April of 2015, the best friends feature returned, but now we know it as this 'friend emojis' version. Unlike the old best friends feature, which was made public for anyone to see, friend emoji are completely private. Only you can see your friendships with your friends, marked by the emoji displayed beside their usernames. The biggest inconvenience about it is that most users have to look up what the Snapchat emoji meanings are since there seems to be no description in the app. Other than that, it's a fun and visual way to pique users' interests about what their Snapchat friend relationships really mean!